The answer to the first part of the question is yes. Especially if you’re stuck behind a desk, or involved in a job where you don’t move around much. 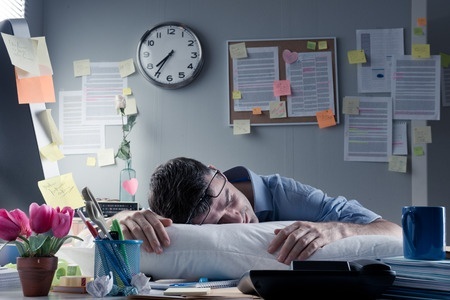 University College in London found that, for workers over 45, those who were stationary for 13 hours a day were twice as likely to die early than those who stayed still for 11.5 hours. The first group also reported more mental health problems too. Now. On to the second part of the earlier question – is there a figure for the maximum number of hours we should work that’s good for us? The answer – according to The Australian National University in 2017 – is 39. They arrived at this figure because it just about leaves space to do other things, including eating properly, getting enough sleep and generally looking after ourselves. Working more than 40 hours and we simply don’t have time to do all these essentials, especially if we factor in looking after children and household chores. In Sweden, they’ve adopted a ‘less is more’ approach since 2015 when, thanks to government funding, care home nurses reduced their working hours to 30 a week (six a day) while still being paid for 35. The result? Better productivity, less sickness and a much less-stressed workforce. Over here, this approach is starting to catch on with some organisations actively working a four-day week. And, just like in Sweden, they’ve also reported improved productivity and a happier, healthier workforce. Having a productive workforce is vital. Your organisation needs to be productive to be successful. And part of that is having a workforce that is capable of doing their job well. Being in tip-top health and content with what they’re doing is a really important part of that. The good news is most of us are already in the 35-40 hour a week bracket, and will be able to switch off and do the things we want to do, and keep ourselves in good health – both mentally and physically. We don’t need to change what we’re doing and have a great work life balance, although most of us wouldn’t say no to a regular three-day weekend would we?